Denbighshire Memorial Park and Crematorium presented a cheque for £5,000 to “Ty Gobaith & Hope House Children’s Hospice” in Conwy. Ty Gobaith was nominated because of the special Snowflake Suite which allows children to remain at the hospice after death enabling the opportunity for family members to leave their child in a safe and familiar environment with access to spend time saying goodbye in an informal and supportive environment. Children who have died at home or in hospital can also go into the Snowflake Suite, whether or not they have had previous contact with the hospice; the family will then have access to the full range of support services. This cheque is part of a donation from the ICCM Recycling of Metals Scheme. 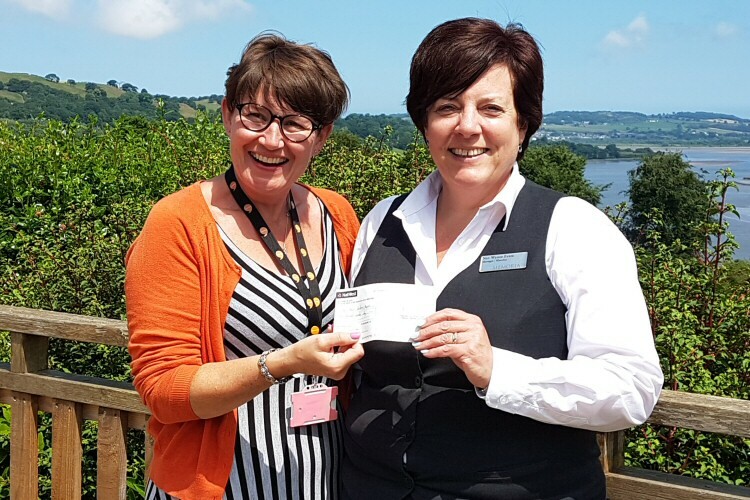 Pictured with Denbighshire Memorial Park and Crematorium manager, Nan Wynne Evans, is Eluned Yaxley, fundraiser for the hospice gratefully accepting the cheque.